There’s no time like the present to consider a first or subsequent tattoo. 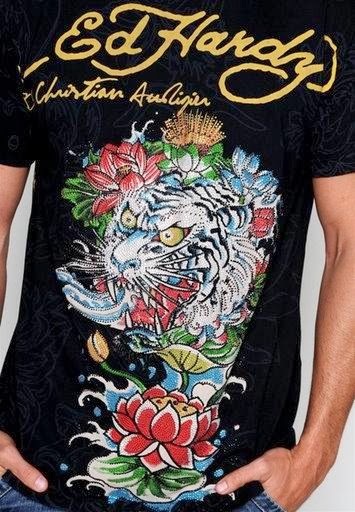 Legendary tattoo genius Ed Hardy has imprinted his style on the fashion scene -Inspired by the youth of America, vintage, Hollywood stardom and motorcycle tattoo culture - now the likes of David Beckham are wearing his clever clothing. As well, Peter Andre models the vintage tattoo designs, there’s a buzz in the air… and the hum of needles too! Ink is king right now, we see celebrities regularly flashing their tats in the pap’s direction! But like most things tattoo habits trend and how do you ‘get it right’ first time? Popular styles and images change through eras. So what kind of tattoo stands the test of time? Actress Eliza Dushku, appears to have it right with a double-headed eagle on her back. A simple design yet visually eye-catching and unique. 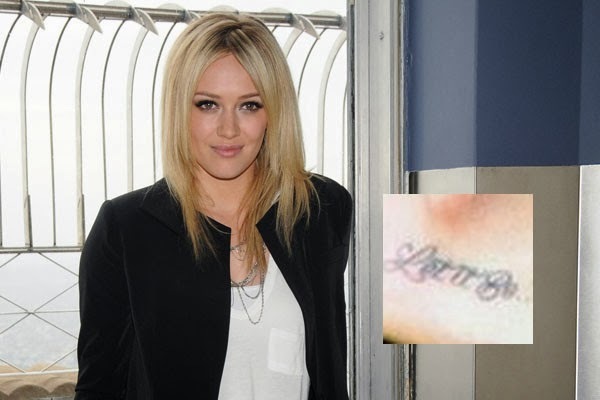 While singer Hilary Duff has the tattoo reading "Let it Be". Perhaps consider a portrait, increasingly a more popular trend. 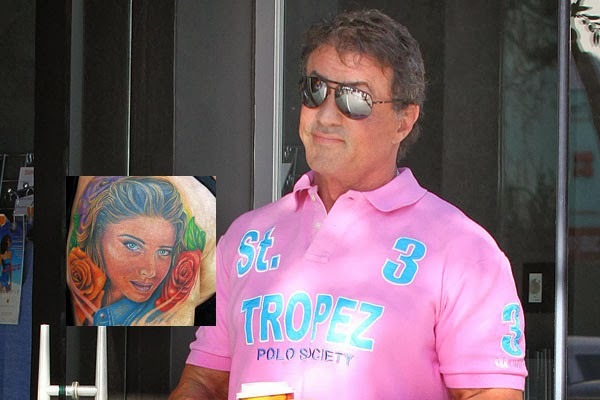 Sylvester Stallone has a detailed picture of wife Jennifer Flavin on his shoulder surrounded by three roses for his 3 daughters, whose middle names are all Rose. 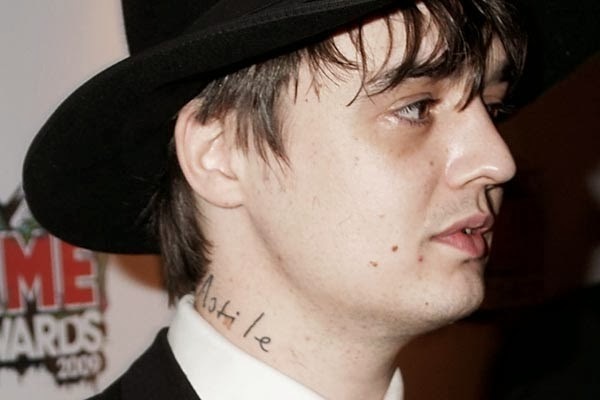 Infamous Pete Doherty put an interesting slant on the traditional child’s name tattoo, by having it written in his son Astiles own handwriting. It sounds simple, be true to yourself and your own style. Unlike fashion that is discarded each season, body art is about styling your individuality; we create our own imagery perception rather than adorning ourselves in others’ fashioning. 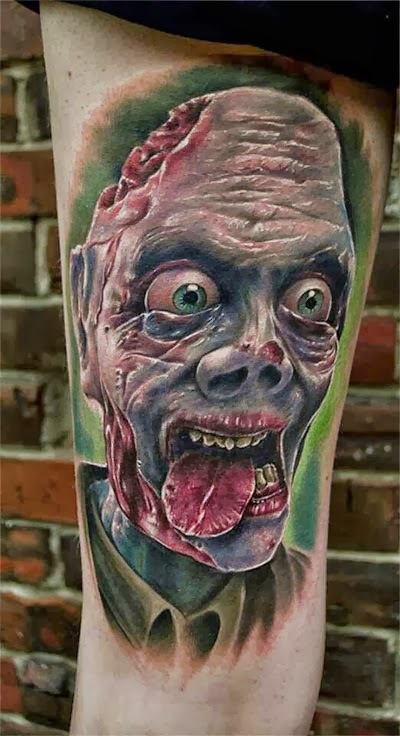 If you are finding it hard to decide on exactly what kind of tattoo you want it’s worth submerging yourself in the industry if even for a day. 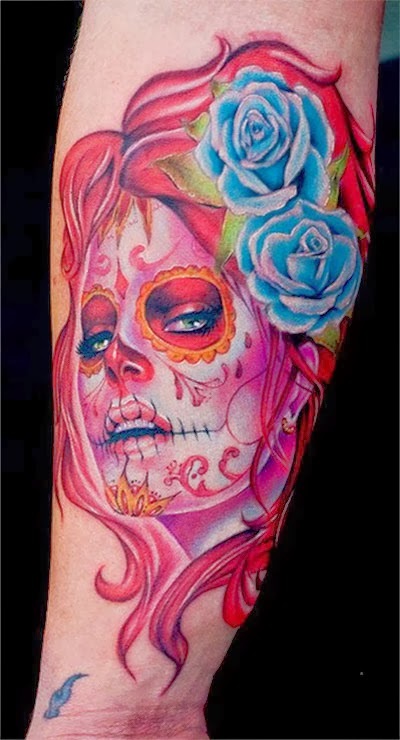 Tattoo Jam, an annual event promises to be the most exciting and talked about Tattoo event of the year. No doubt there will be oodles and doodles of inspiration there. It could be the perfect place to show off your tattoo collection, or maybe even to start one. Power in our purses, people!